Or maybe you just need a nice, cold beer. Where can you find the best beer in your town? Luckily, Crooked Pint Ale House is here to solve all of your problems. We’ve got the winning combination of tasty grub, cold beers, and energetic atmosphere to be new your go-to restaurant – no matter the occasion. 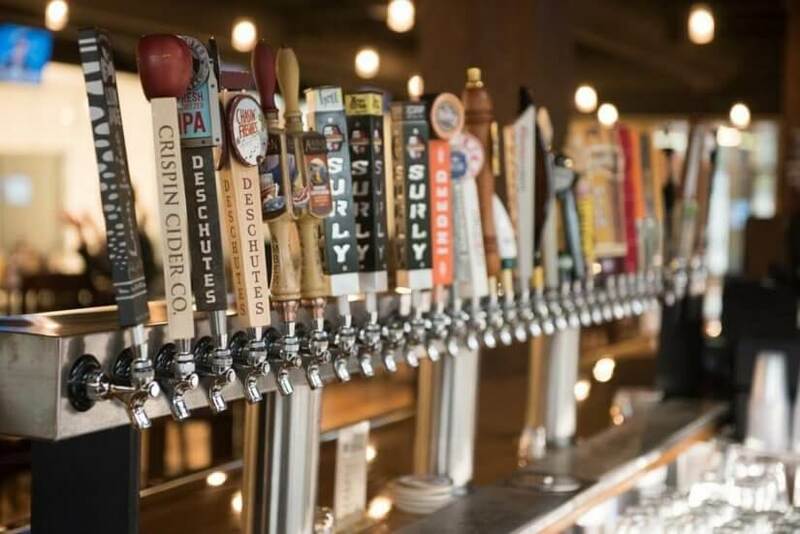 Your neighborhood Crooked Pint always keeps the latest and greatest drafts on tap – including several of your favorite local brews. Enjoy a great beer for a great price during Happy Hour – which gets even better when paired with one of our mouthwatering Shareables. We’ve got the best drink specials near you! Mmm… comfort food. Crooked Pint’s pot pie and hot dish options are sure to keep you toasty during that (occasionally brutal) Midwest winter. The Tater Tot Hot Dish is a must-try. And we can’t forget to mention our stacked Juicy Lucy menu, featuring twists on this Minnesota classic – such as the sweet and spicy Sweet Heat Lucy or pineapple-topped Hawaiian Lucy! Happy Hour deals so great we have to mention it twice! Crooked Pint is the best Happy Hour spot in the area. Swing by after work with a few friends to enjoy some beers and snack on our Ale House Nachos. The deals run from 3-6 – and run from 9:30-close for our Reverse Happy Hour! Got some good news to share? Text your friend and tell them to meet you at Crooked Pint! With our delicious menu, excellent beer selection, and lively atmosphere, you and your friend or loved one will have a wonderful dining experience. Plus nothing says “friendship” like sharing an order of Totchoes. No matter the occasion, Crooked Pint Ale House has got you covered. Celebrating with your pals? Split a Gigantic Pretzel at CP! Looking for the best happy hour in Minnesota, North Dakota, or South Dakota? The Pint’s got your back. Make sure you check out our (growing!) list of locations to find a Crooked Pint near you!